The United States National Reconnaissance Office is an intelligence agency responsible for the design, construction and operation of all U.S. reconnaissance satellites as well as the delivery of satellite intelligence to other agencies including signals intelligence for the NSA, image reconnaissance data to the NGA and measurement & signature intelligence to the DIA. Established in 1961, the NRO has been shrouded in great secrecy and most of its programs are highly classified. As an intelligence agency, NRO goes through great lengths to keep its activities secret, therefore the identity of all NRO satellites is classified. However, it is possible to identify the nature of some satellites taking into account their launch site, launch window, launch vehicle configuration and ascent path. Also, the NRO is known to drop some hints in its mission insignia, providing clues to the payload’s identity. Typically, satellites are tracked in orbit within a few days of liftoff by a worldwide network of observers revealing from where they operate which usually provides a good idea of what the satellites are tasked with. Some cases are easier to solve while other NRO missions can only be narrowed down to a number of candidates. 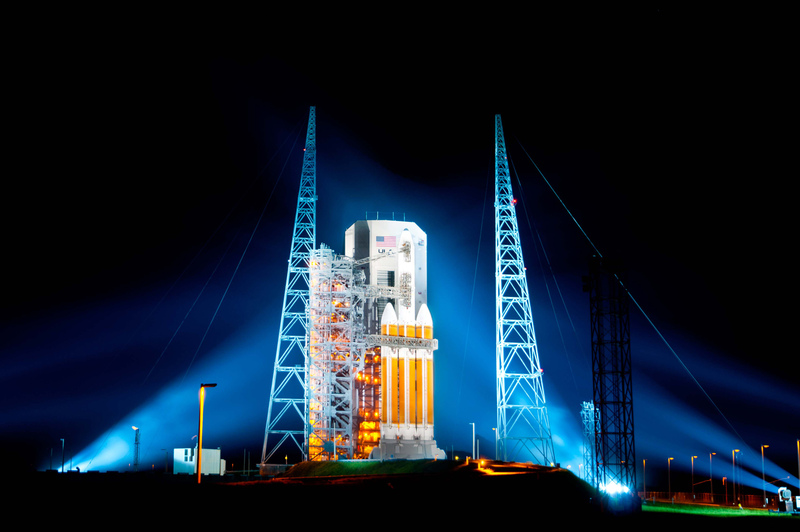 NROL-37 employs the Delta IV Heavy launch vehicle, currently the largest rocket available for the launch of U.S. government satellites. Delta IVH can deliver payloads up to 28,790 Kilograms into Low Earth Orbit and 14,220 Kilograms into Geostationary Transfer Orbit. This narrows the candidates for NROL-37 to the most massive satellites currently in operation by the NRO. 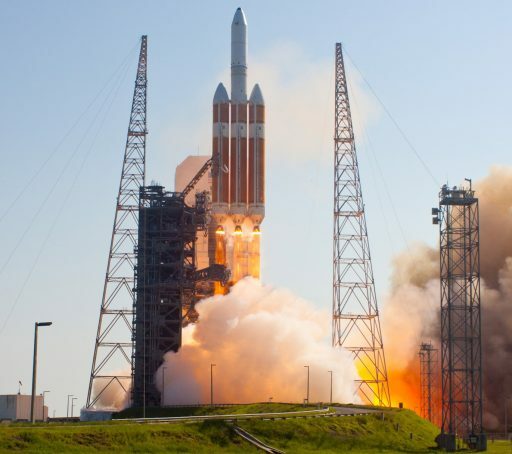 Delta IV Heavy was in action for five previous NRO launches – two from Vandenberg Air Force Base in 2011 and 2013 (NROL-49, 65) and three from Cape Canaveral in 2009, ’10 and ’12 (NROL-26, 32, 15). The two launches from Vandenberg were two Keyhole KH-11 image reconnaissance satellites, replenishing the NRO’s imaging constellation operated in Low Earth Orbit. 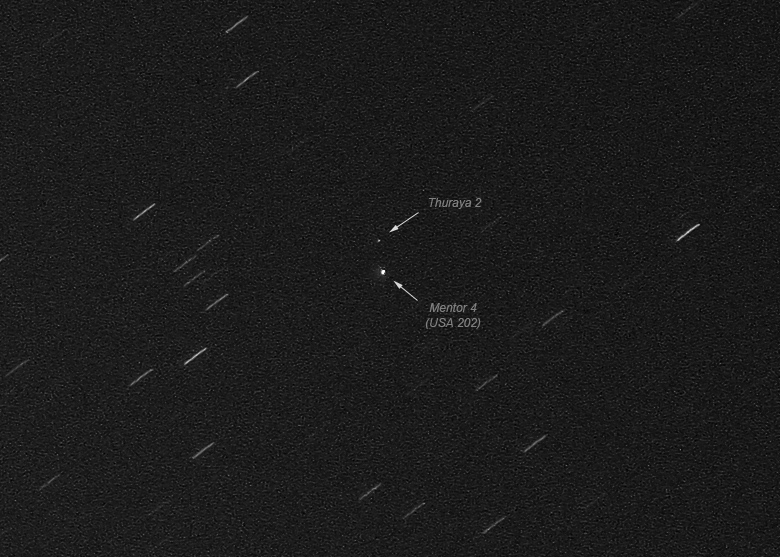 NROL-26 and 32 headed into Geostationary Orbit and represent Advanced Orion signals intelligence satellites. NROL-15 was the first launch of the upgraded Delta IV Heavy with the more powerful RS-68A engine. It had become known that the payload for that launch was a driver in the development of the RS-68A engine, requiring the performance improvement to reach its target orbit. This need for additional performance could be explained by Orion switching to a modified version with greater mass. 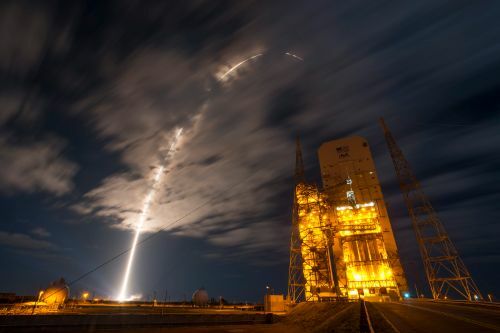 Another theory on NROL-15 identified it as the third Misty satellite, however, NROL-15 was tracked in Geostationary Orbit, essentially confirming it as Orion satellite. NROL-37 matches NROL-15 in launch site and launch vehicle and a lack of other candidates only leaves Orion as a possible identity, though the remote possibility of NROL-37 being a new project or one-off design remains on the table. The launch hazard area and downrange drop zones also match a launch towards Geostationary Orbit. 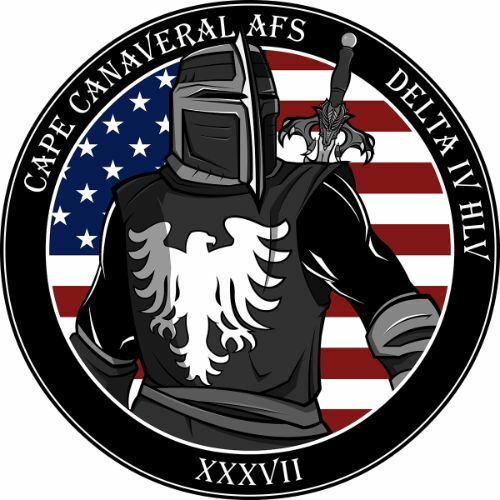 The NRO said about the NROL Patch: The NROL-37 mission patch depicts a knight, a symbol of courage with a chivalrous code of conduct representing bravery, training, and service to others. The knight stands in front of the U.S. flag in a defensive posture as to protect at all cost. The eagle on the chest is a symbol of both freedom and the United States of America. The sword is a message of tenacious, fierce focus with the claws representing extreme reach with global coverage. 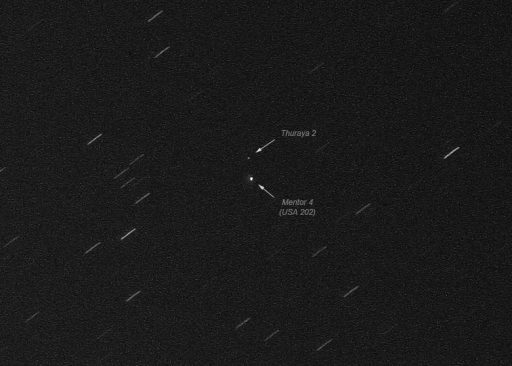 The Advanced Orion satellites, also known under their code name Mentor, are geostationary signals intelligence satellites with a reported purpose of intercepting missile telemetry from foreign nations, primarily Russia and China, among a number of other purposes intercepting communication intelligence. Geostationary Signals Intelligence started out in 1970 with the launch of the first Aquacade satellite operated by the United States Air Force. The Aquacade satellites featured deployable antennas approximately 20 meters in diameter. Four Aquacade satellites launched between 1970 and 1978, each weighing around 700 Kilograms. The Aquacade program was succeeded by the Orion project, also known under its original codename Magnum. A pair of Orion satellites were launched in 1985 and 1989 by Space Shuttle Discovery and reportedly carried 50-meter antennas to intercept missile signals. The Orion satellites were upgraded in the 1990s and the project is currently referred to as Advanced Orion or Mentor. The first Advanced Orion launched atop a Titan-4 rocket in 1995 and two more Titan launches followed before the Delta IV Heavy rocket took over after Titan’s retirement. So far, three Advanced Orion satellites were launched on the DIVH rocket. Observations of Orion satellites 3 through 7 indicate they weigh close to 5,200 Kilograms and feature antennas approaching 100 meters in diameter. 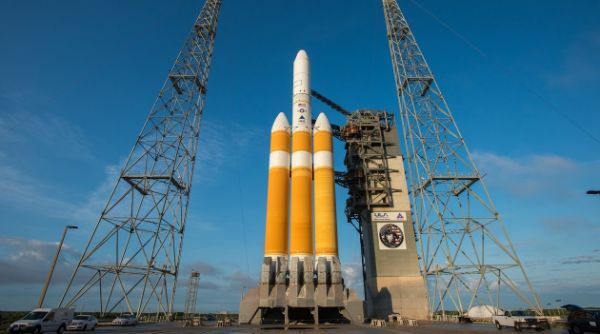 The need for a performance upgrade of the Delta IV Heavy rocket would place the mass of the Orion 8 and 9 satellites (NROL-15 and 37) in the 6,200 to 6,750-Kilogram range. The Advanced Orion satellites are known as the largest satellites in the world, given the diameter of their main antennas which, in the newest satellite version, may well be in excess of 100 meters. The capabilities of the satellites are highly classified.